The SMOK Priv V8 Starter Kit comes with a SMOK Priv V8 Mod of max 60W output power, and a SMOK TFV8 Baby tank of 3ml e-juice capacity. 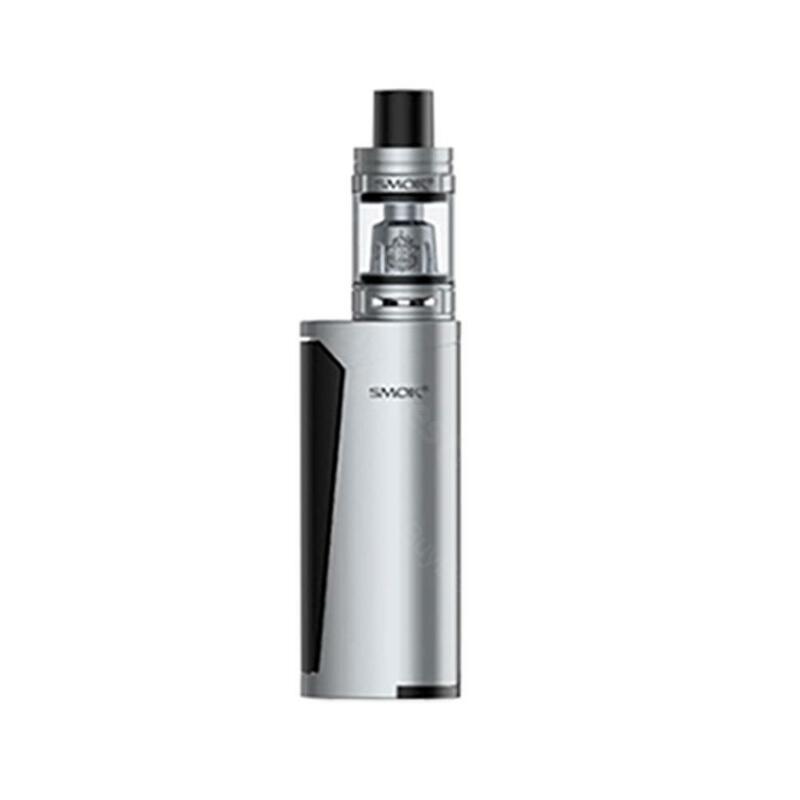 The SMOK Priv V8 kit is powered by single 18650 battery(not included) and it has the big fire key for easy operation. Multiple colors for your choice. The SMOK Priv V8 Starter Kit comes with a SMOK Priv V8 Mod and a SMOK TFV8 Baby tank. The SMOK Priv V8 MOD is powered by single 18650 battery(not included, you need to purchase separately), with max 60w output power. The mod is 510 thread and it has the big fire key for easy operation with such compact and portable size. The SMOK TFV8 Baby tank is made of Stainless Steel and the size is 22mm diameter, with 3ml e-juice capacity. The TFV8 Baby features all-new V8 Baby-Q2 coils, top refill system and adjustable airflow system. Dual LED indicators and multiple colors for your choice about the SMOK Priv V8 Starter Kit. • It doesn't come with e-juice or 18650 battery, you need to buy separately. • It is compatible with Baby-T8 Octuple Core/Baby-T6 Sextuple Core/Baby-X4 Quadruple Core/Baby-Q2 Dual Core/Baby RBA Coil. The prism color is so splendid. Love baby tank always. Huge cloud. Fantastic! Not take long time for me to take this kit after I ordered it. Good product. Fast shipping. Finally, I chose this V8 as my fist vape kit. It works well and I just fall in love with vaping.